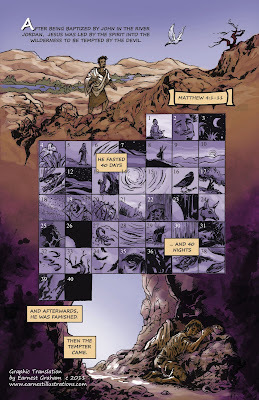 Just in time for the season of Lent, a comic translation of Jesus' temptations in the wilderness. 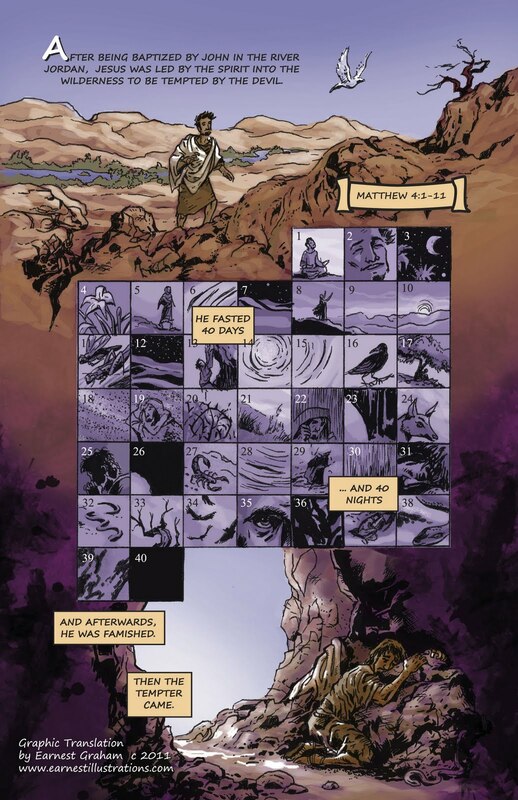 This bible comic translation is available for use in ministry, and to help share the good news in this new medium. 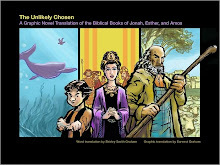 This translation was commissioned by Ms. Marcy Thomas, and it is given to the glory of God, and in thanksgiving for St. Matthew's Episcopal Church in Chesterfield Virginia, USA. About 30 years ago we gave our son a "picture Bible." That may have even been the name. He devoured its pages. It was "comic book style," very much like yours as I recall. 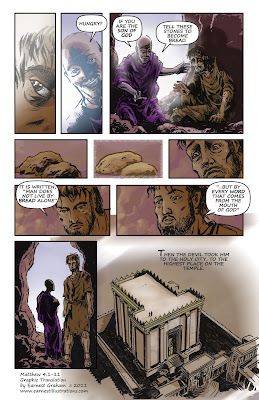 This is a great depiction of a really fantastic piece of the Gospel. 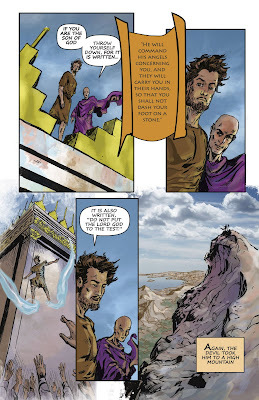 I especially loved the panel when the tempter tells Jesus to turn the stones into bread. Jesus looks like he might actually consider it. I appreciated that. 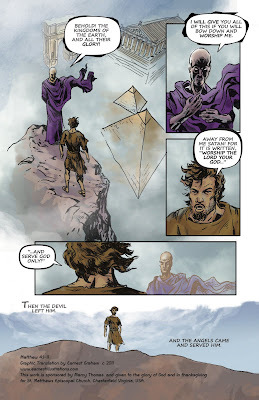 I wonder what it would have looked like if you made the tempter look more like Jesus instead of an androgynous person. It's always helped me in thinking about this passage that this all probably happened in the landscape of Jesus' mind, as temptation does in our own minds. What would it be like if the temptation was not from an external source but from the internal heart?